Two parents were arrested in the torture and child endangerment case in Calif.
After 13 siblings were rescued from their parents' home Sunday, where they had been allegedly held captive, and, in some cases, starved and shackled, they were taken to hospitals for medical care. And now, Child Protective Services is assessing their next possible steps. The 13 brothers and sisters -- who are ages 2 to 29 -- were found at their parents' home in Perris, California, where some were allegedly "shackled to their beds with chains and padlocks in dark and foul-smelling surroundings," the Riverside County Sheriff's Office said. "The victims appeared to be malnourished and very dirty," the sheriff's department added. 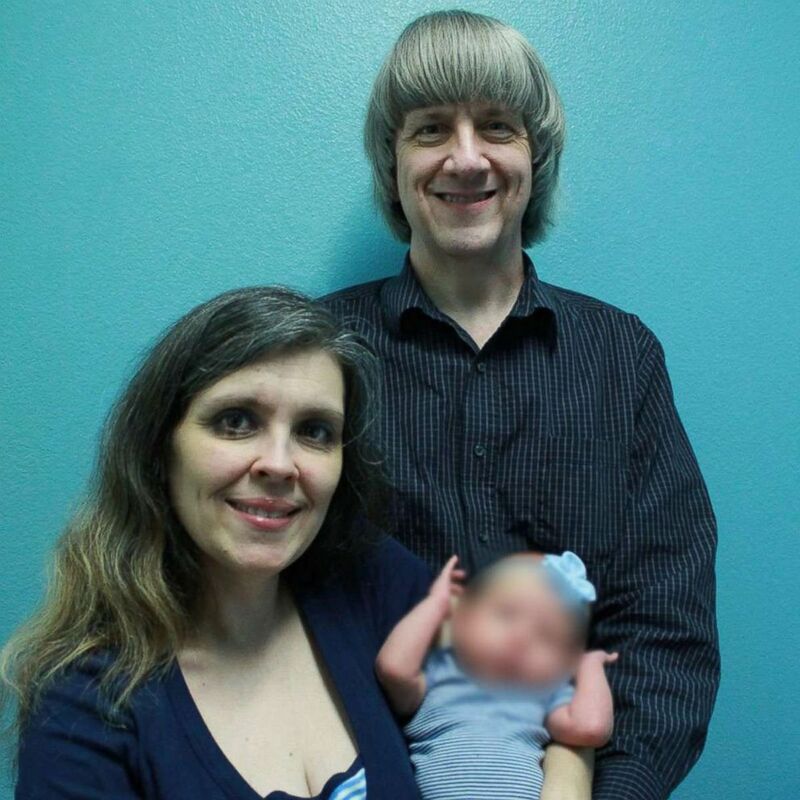 (David Allen Turpin/ Facebook) Louise and David Turpin were arrested in the torture and child endangerment case in Perris, Calif. The children -- who authorities say claimed to be starving -- were given food and interviewed, the sheriff's office said, and then were hospitalized for treatment. Seven of the alleged victims were adults and the others were children as young as 2. Mary Parks, senior public information officer for Riverside County Social Services, told ABC News today that the main priority is for the minors to be taken care of by the hospital. After they are healthy and ready to be released, then Child Protective Services will ask the court for approval to care for them and find them guardians. 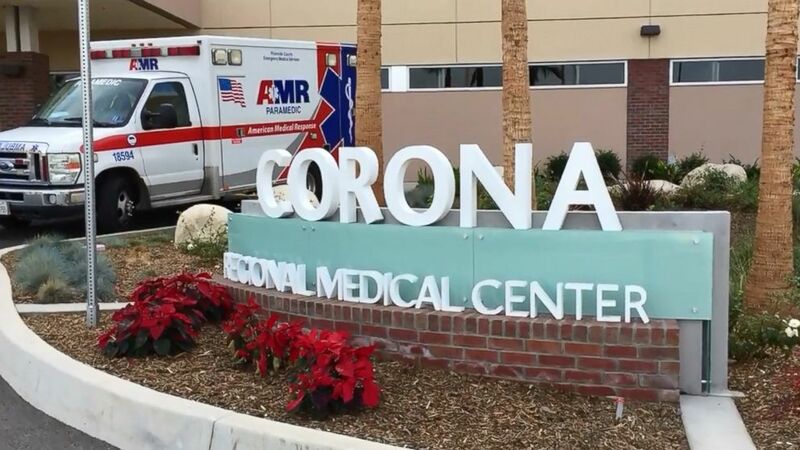 (ABC News) Corona Regional Medical Center in Perris, Calif.
CPS is also assessing the capacity of the adult children to make decisions for themselves, Parks said. If it's deemed they can decide for themselves, then they will. Otherwise, CPS will ask the court to place the adults under its care, she said. Parks also told ABC News that the CPS office in Riverside is an advocate of sibling adoption, so there would be an effort to keep the siblings together. CPS said it is receiving calls from around the world from people who want to help the siblings financially. Because the agency does not want the siblings to be taxed for the money they receive, they are setting up a fund for them to go through the Riverside County Regional Medical Center Foundation. All GoFundMe campaigns that claim they benefit the siblings are fake, CPS said. (Corona Chamber of Commerce) The Corona Chamber of Commerce in California released sizes of the clothes the adult siblings who were found shackled in their home need, which are all in children's sizes due to their severe malnutrition. 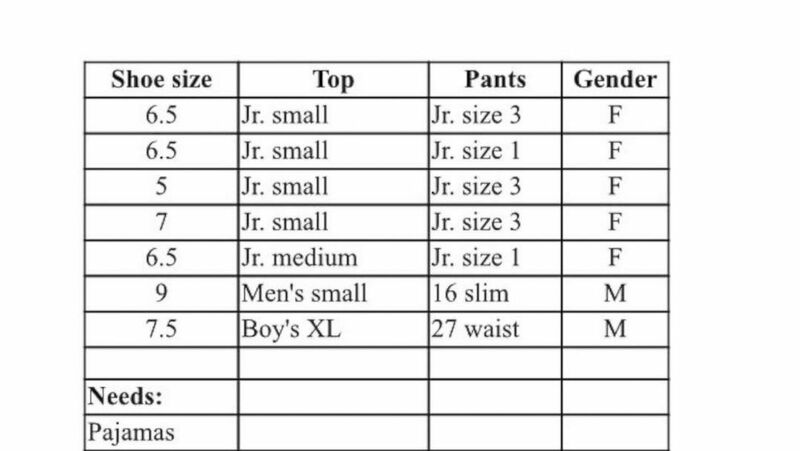 The agency also listed the clothes that are needed for the adult patients, which are almost all in children's sizes, a graphic released by Corona Chamber of Commerce showed. The adult siblings are in need of pajamas, sweatpants and sweatshirts, long-sleeve crew-neck tops, lightweight jackets, underwear and socks. The victims were found after one of the children -- a 17-year-old girl -- allegedly escaped from the Southern California home through a window Sunday morning and called 911. Responding officers said the teen was slightly emaciated and "appeared to be only 10 years old." (ABC News) An investigation is underway in Perris, Calif., after 13 siblings ages 2 to 29 were allegedly held captive in a home, some shackled to their beds with chains and padlocks, authorities said. 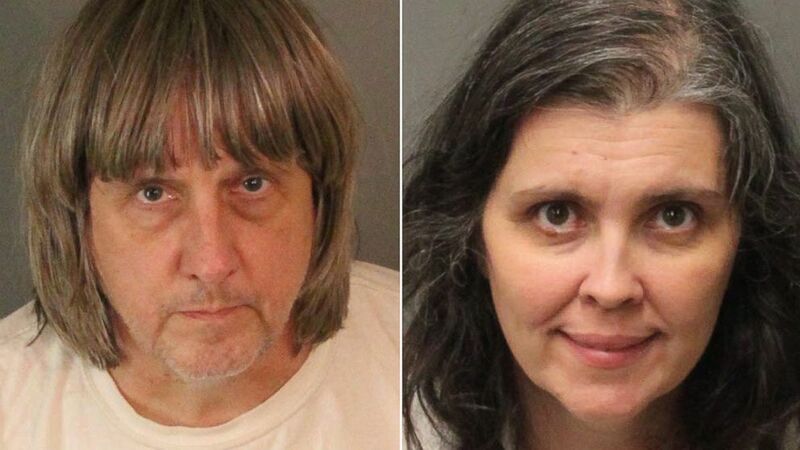 The 13 victims are all believed to be the biological children of David Turpin, 57, and Louise Turpin, 49, authorities said. 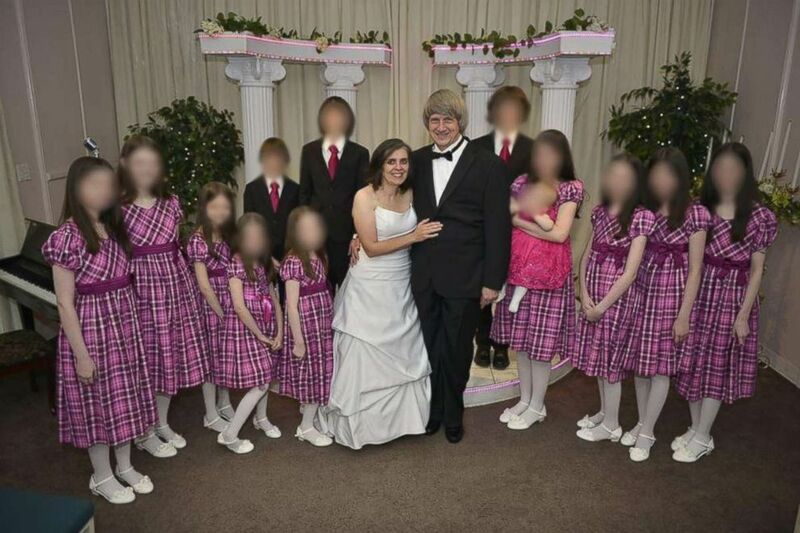 The Turpins were arrested on charges of torture and child endangerment, the sheriff's office said, and are expected to be arraigned Thursday. ( Riverside County Sheriff's Department) Mugshots of David Turpin and Louise Turpin of Perris, Calif., provided by the Riverside County Sheriff's Department, Jan. 15, 2018. ABC News' Frank Elaridi and Julia Jacobo contributed to this report.